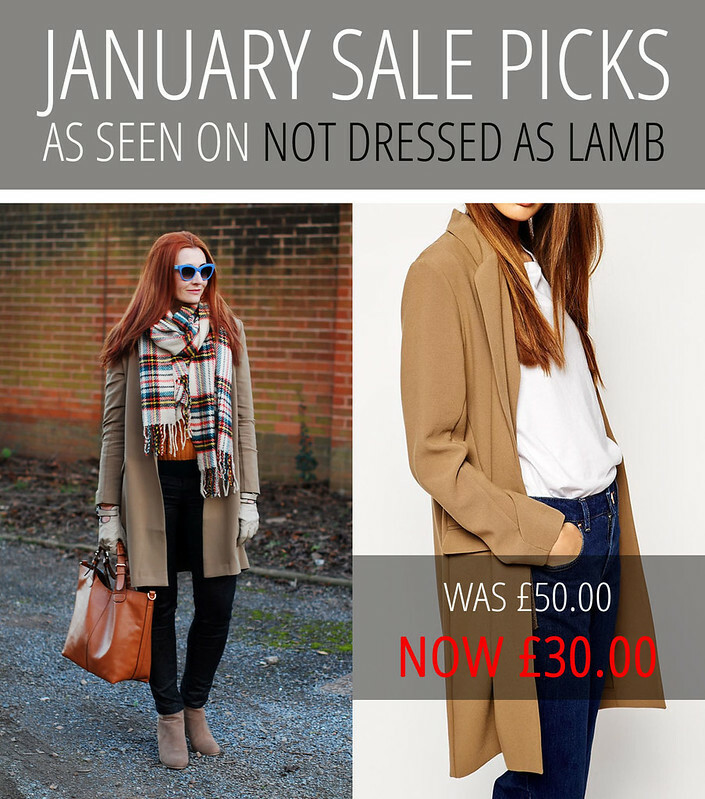 The January sales are in full swing – and that means I’m bringing you my January Sales Picks! Each summer and winter I research all the actual items I’ve worn on the blog that are still available online AND reduced in the sales. Rather than a straightforward sales picks post I show them with my own photos so you can see what they look like styled into an outfit. Apologies if anything sells out (I also can’t guarantee all sizes are available), but all info is correct at the time of writing (03/01/15). Do you have your eye on any of the items? Hope you find some bargains… Let me know in the comments if you end up buying any of them. Happy sale shopping! I can’t remember the last time I owned a black coat: this one is smart, structured and surprisingly warm. 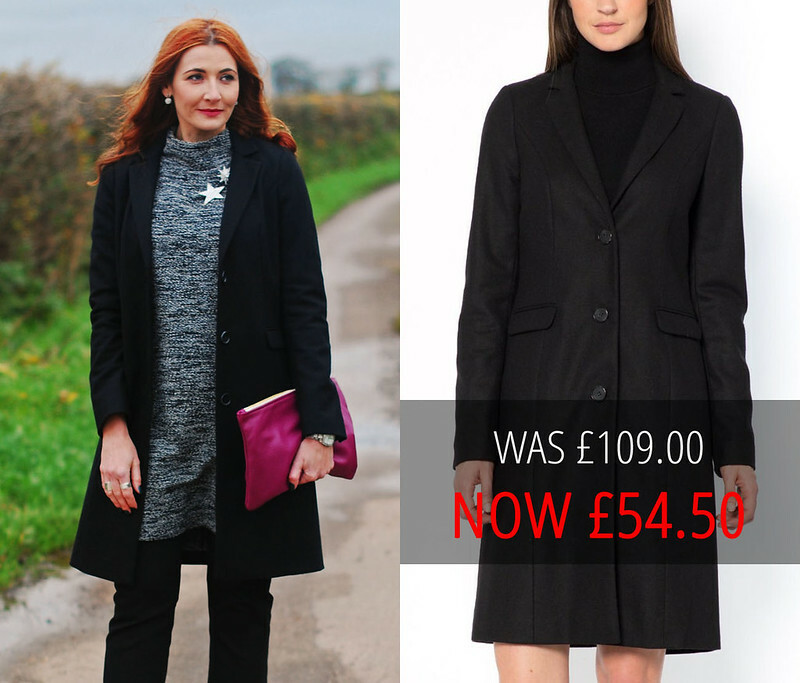 Great quality – I’m so happy I own this black coat. Plus hello, 50% off! 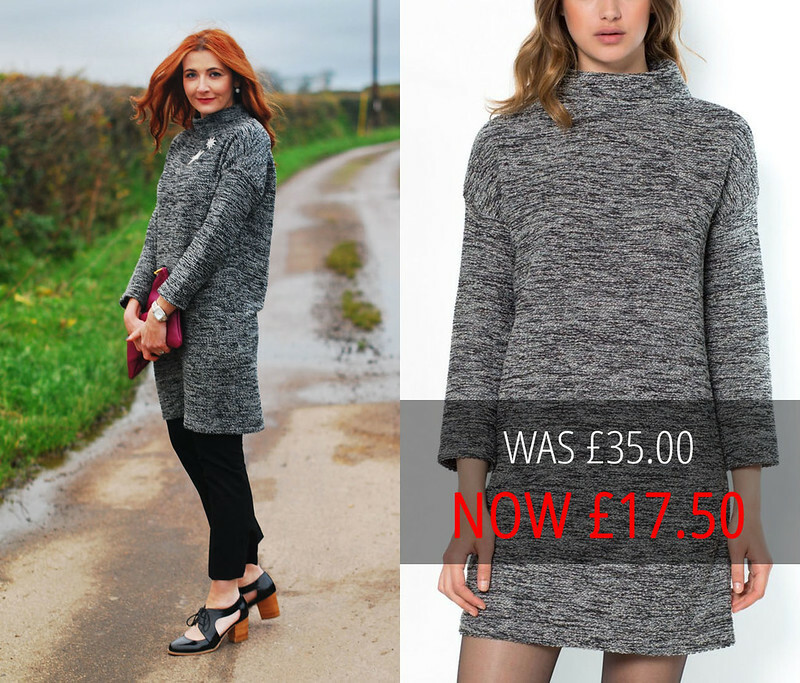 This comfy sweater dress has a sparkly silver thread running through it and is perfect for layering over trousers or jeans at this time of year. I really love the unusual funnel neckline. I love scuba fabric! I love midi dresses! I love anything two-tone! 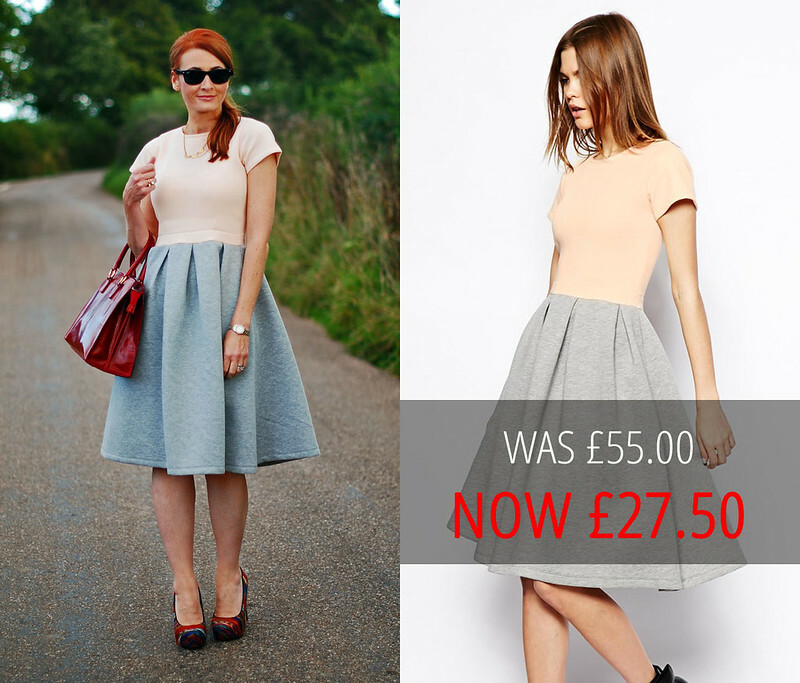 This dress is squidgy-gorgeous and is so versatile: Wear it as a dress by itself or wear a sweater over the top… ta-dah! One grey marl skirt. – Also available in GREY/NAVY. As much as I love skinny jeans I adore a great peg leg trouser shape. This chartreuse-yellow colour is so gorgeous, and of course they’re much more comfy (and smarter) than skinnies. 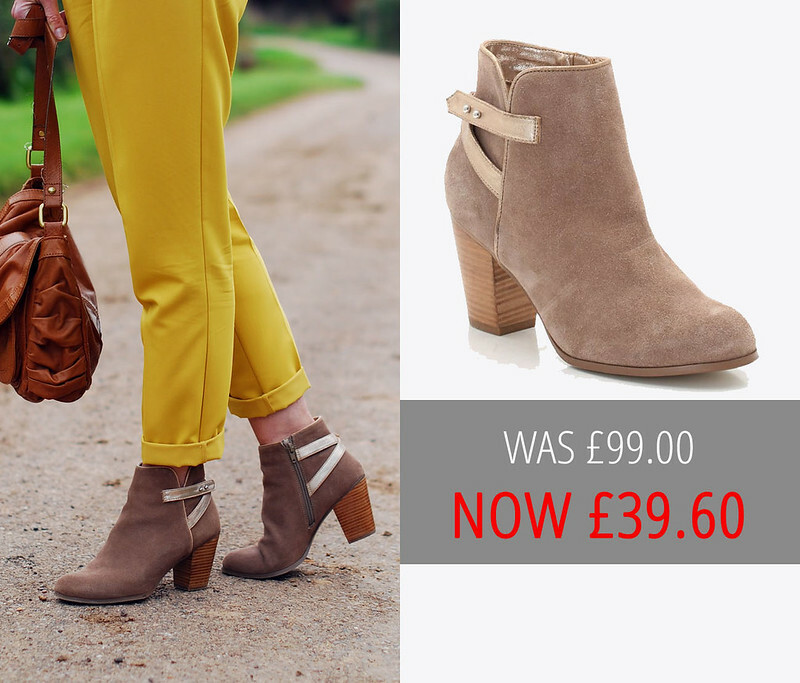 Lots of readers love these boots, and the reason that I’ve worn them so much this autumn/winter is because I do too. They’re really comfortable – I’ve done sightseeing and shopping in them – and the neutral taupe colour will go with anything. Great metallic strap detailing. – Also available in BLACK. 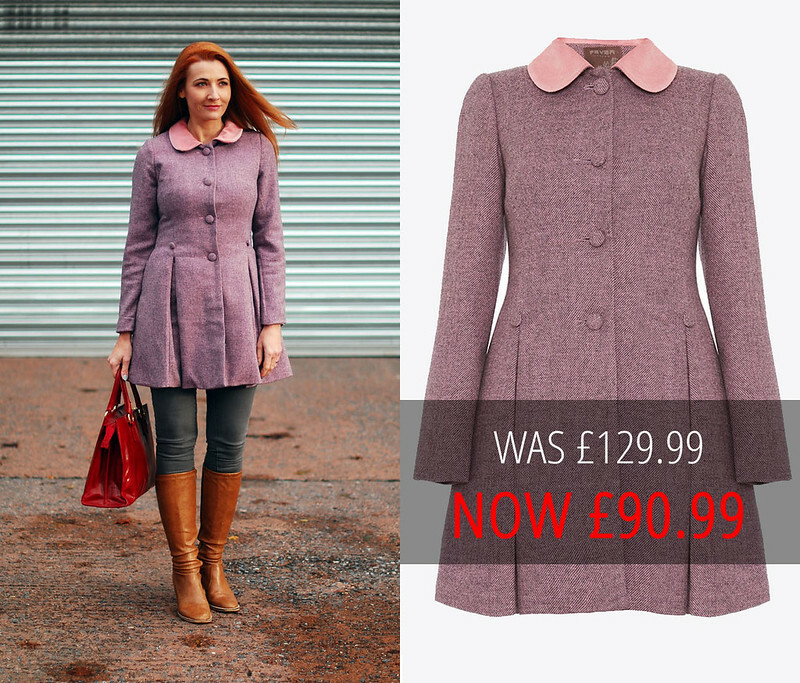 A ‘dress’ coat is the perfect description for this piece – it’s a statement in itself. The colour is so pretty and the fit-n-flare style is incredibly flattering. Make sure you go one size up as it’s a snug fit, especially if you’re wearing a sweater underneath. 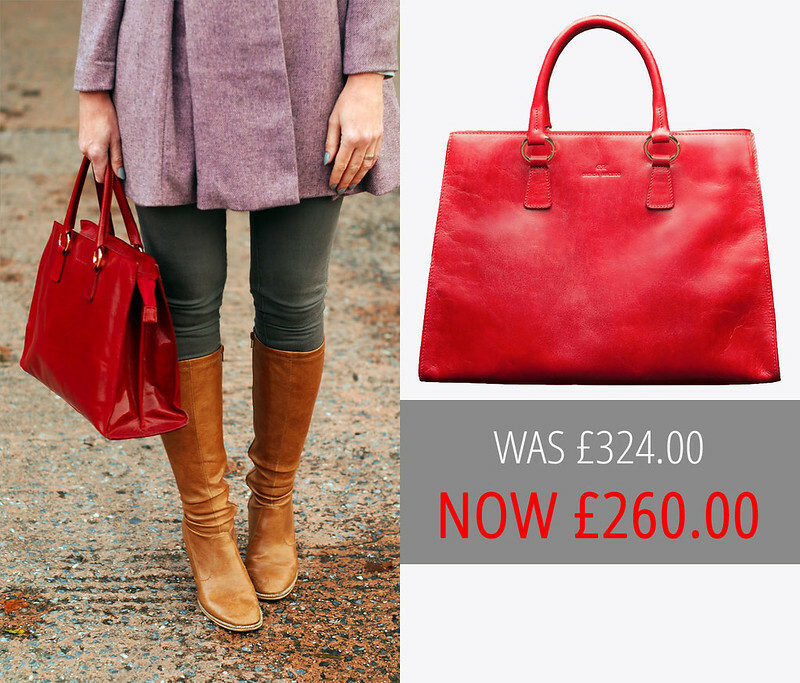 The ultimate red leather tote that’s a steal compared to a Birkin or a Kelly. My red one seems to go with everything and the quality of the leather and workmanship (and its smell!) is divine. – Also available in ORANGE and TAN. I wore it in both spring and autumn and this mint green biker jacket is still going strong. I love the stitch detail and the softness of the faux suede. 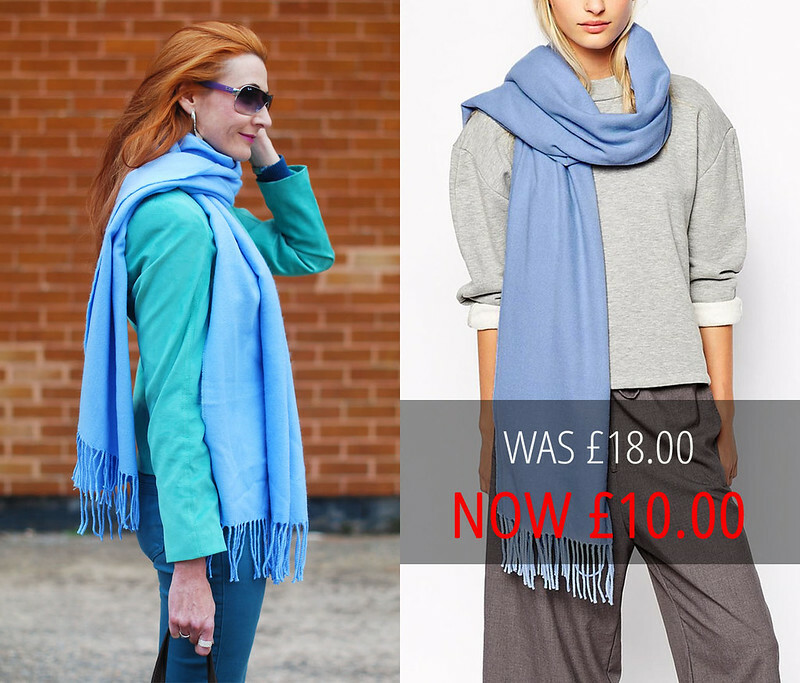 A super-soft, extra long tassel scarf in baby blue? What could possibly be more comforting and snugly for winter?! I am so pleased I bought this blazer – longline blazers/coats are my new favourite silhouette for the winter. Do note it’s quite thin, not a bulky wool coat… more of a floppy blazer. 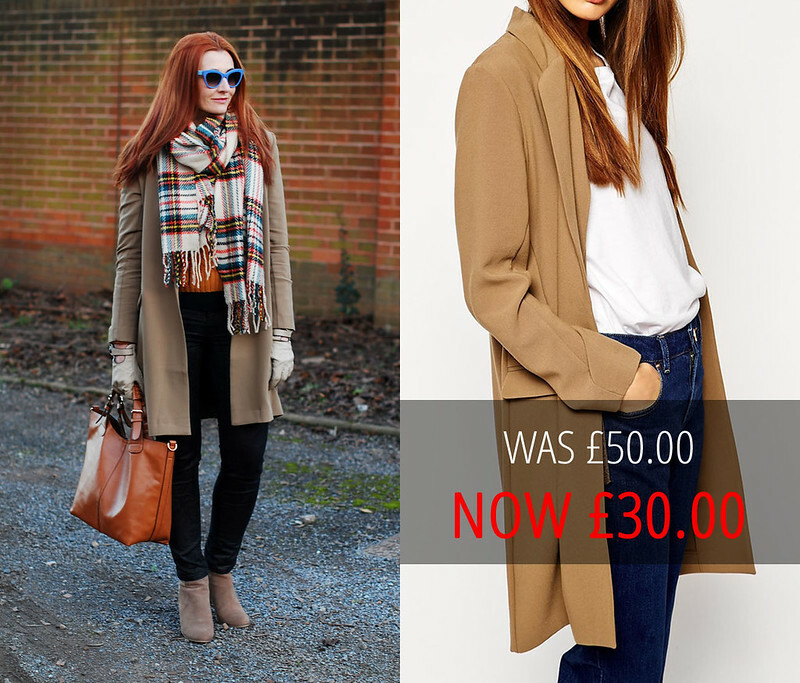 The camel colour is a great neutral and basically it goes with everything. 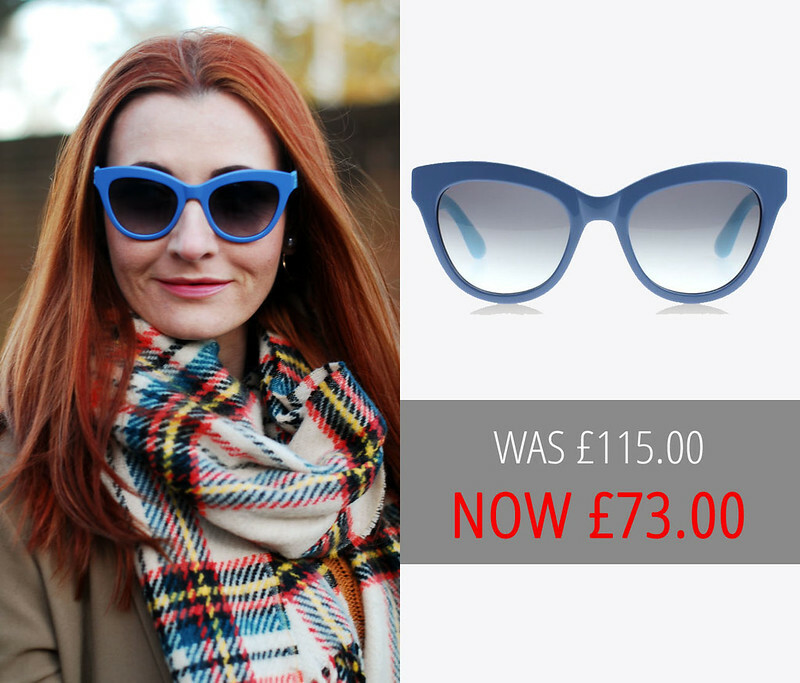 I’m starting to think cat eye sunglasses are the most flattering shape there is, and I love this blue so much. They’re quite matte (not textured though) and they’re great for brightening up a neutral outfit. – Also available in GREEN and LIGHT PINK (for £97.95). I’ve had this sweatshirt since the spring and I still love it. The embroidery detailing is so pretty and because it’s made up of so many colours you can wear just about anything brightly coloured with it. Or just go with blue denim as I did here! – Also available in WHITE (even cheaper at £29.40). If, like me, you occasionally like to go for something girly, then choose this pretty pink heart motif sweater. It has a lovely rib detail on the shoulders and looks great with a shirt layered underneath so the collars show. 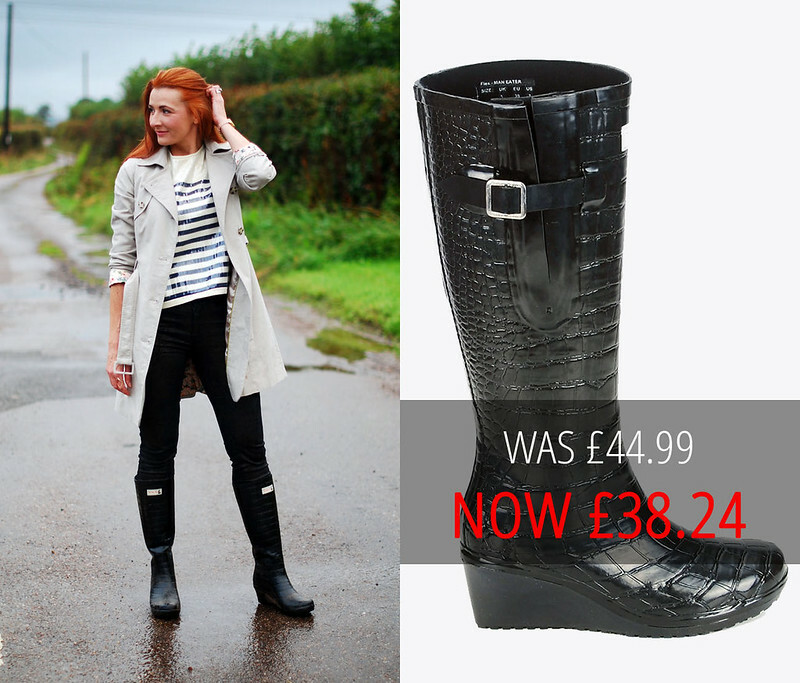 If you want welly boots that are as stylish as Hunters but without the price tag, go for these Wedge Wellies. Mine have a crocodile texture and of course the wedge heel is an added bonus to give yourself a little leg-lengthening. At less than 40 quid they’re a bargain. I’m cheating a little with this sale pick as it isn’t the actual one I bought, but mine was sold out online almost immediately after I got it in Paris in May. I haven’t seen another sequinned Breton top anything like mine till I saw this one, but it’s so similar I thought I’d share it because I’m still soooo in love with mine. I love Breton stripes and I love sequins, so this top is the bee’s knees for me (my pièce de résistance you could say)! P.S. 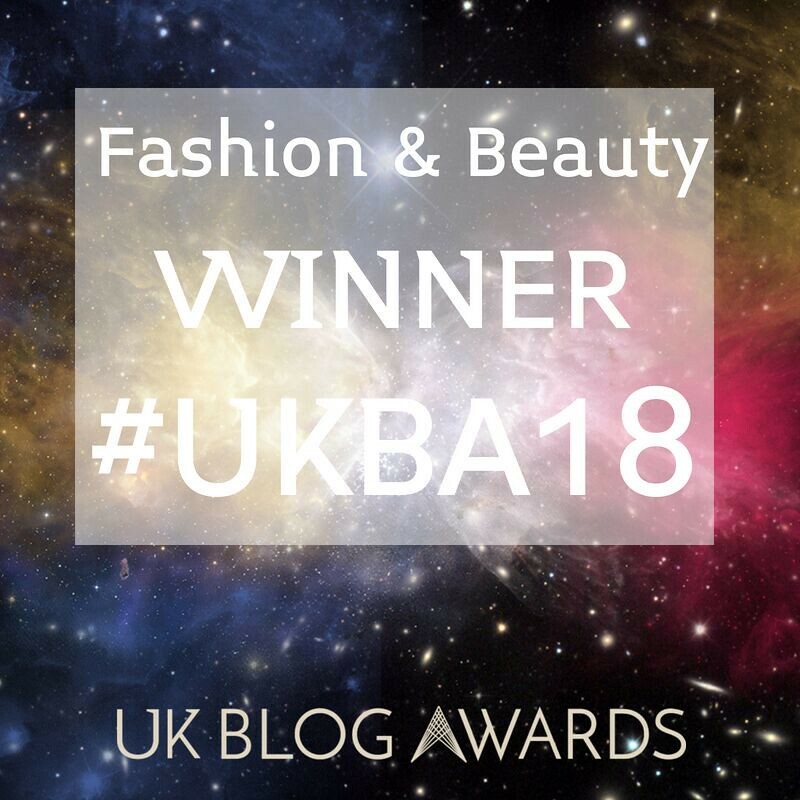 If you want to keep up with my posts, either follow me on Bloglovin or sign up to email alerts! Please note some links are affiliate links: this means I may earn commission if you click through and buy. By monetizing the blog I can continue to bring you great content that I hope will interest and inspire you! This is a great post that share the wealth! I like how you did this. Catherine, as an aside, what are the "Linking up to" parts to your blog at the end of the post. I've been posting so much sequin goodness lately–I'm especially eyeing that nautical sparkly stripe. 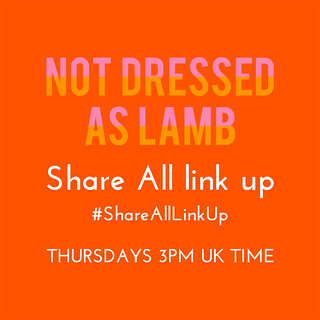 You mentioned the "linking up to" links – these are the link parties I've linked my post to (HOW many times have I just typed "link"?!!) 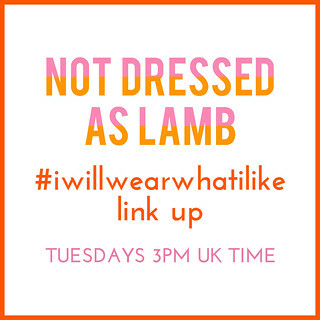 I'm assuming you don't know what they are – What I Wore Wednesday and Patti's Visible Monday are two of the best known ones (you'll see the links to those at the end of any of my outfit posts). But the ones that do… Watch out! I too am a fan of a Breton stripe. Wish I was back in Melbourne right now! Looking forward to your blogs this year Catherine. Above and beyond expectations,Catherine! I am officially back at work today and have loved reading your blog during my break. I'll continue to do so. 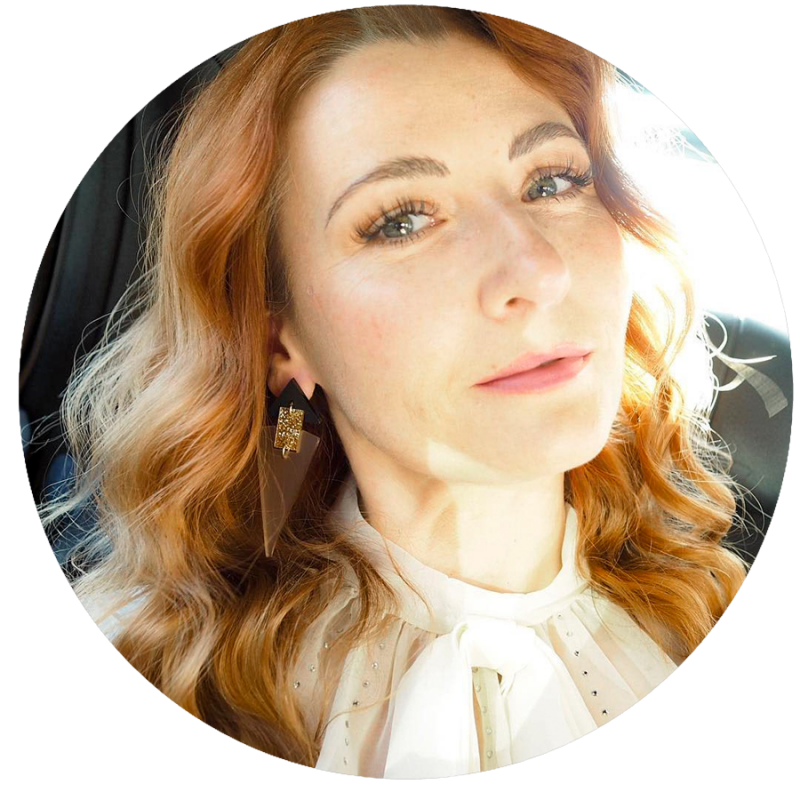 Your blog has made me miss my beloved Melbourne – the weather and occasions there are like the UK, so not sure how many pieces I could fit with Perth's warmer and beachy lifestyle. I will certainly be getting the sequinned Breton and rocking it from school pick up to workshops to wherever really. Have a fab week, and thanks for the inspiration. 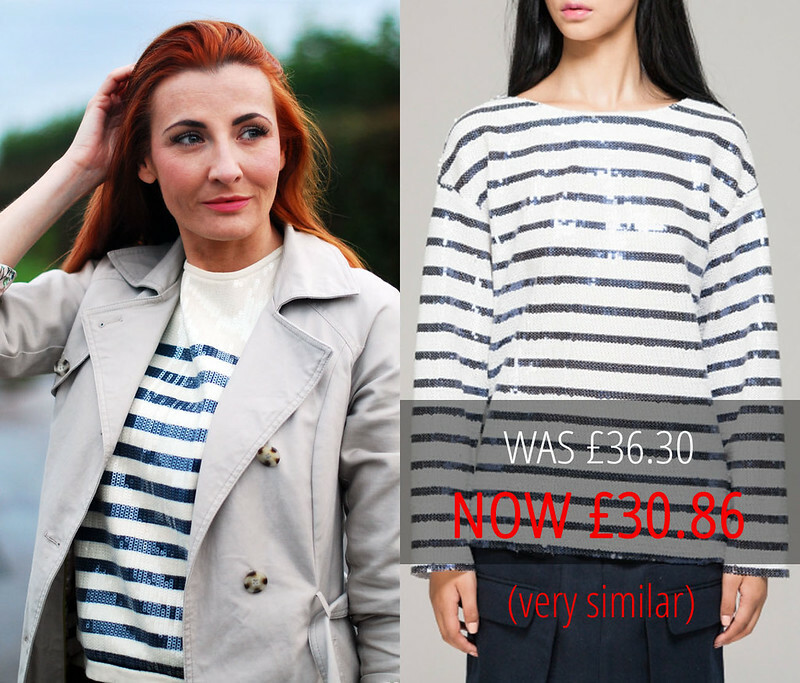 A great big =MWAH= to you Belle – and go rock that sequinned Breton top! Thanks Jeanne – I do too, probably why I went on a tartan scarf-buying frenzy this winter! !